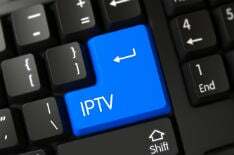 In conjunction with Europol, police forces in Spain, UK, and Denmark, have carried out what is being described as the “largest ever” operation against a pirate IPTV network. Five people have been arrested, accused of crimes including IP violations, fraud, and money laundering. Over the past several years, consumers have been increasingly turning to ‘pirate’ IPTV providers with the key aims of cutting bills and gaining convenient access to vast swathes of live TV and on-demand video. But for rightsholders and broadcasters, these unlicensed platforms present a growing threat as they undermine existing business models with what are increasingly high-quality services. The latest effort to stem the tide appears to be a significant one. 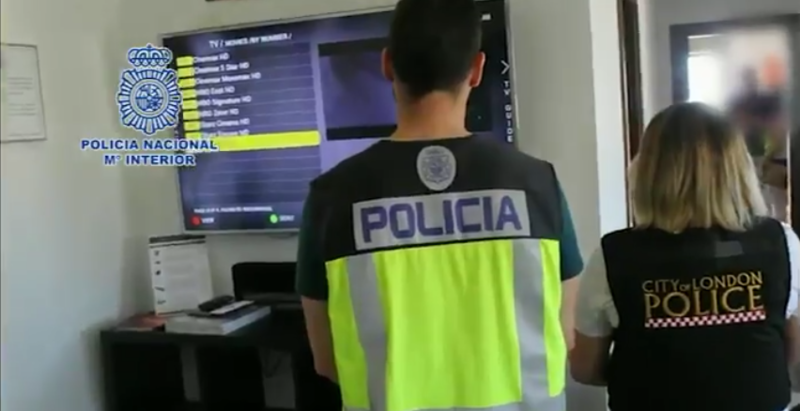 Spain’s National Police says that in cooperation with police forces from the UK, Denmark, and Europol, it has conducted “the largest operation in Europe” against the illegal distribution of content via IPTV. Police carried out 14 simultaneous raids, eight of them in Spain (in Malaga, Madrid and Alicante), four in Denmark, and two in the UK. Five people were arrested and now stand accused of a variety of crimes, from IP offenses to fraud and money laundering. Ten others gave statements to police. The investigation began in late 2015 following a complaint filed by the UK’s Premier League against a Malaga-based website offering IPTV subscription packages providing “a multitude of international conditional access channels”, i.e, otherwise premium subscription-based content. Following the complaint, police in Spain made efforts to verify the illegal activity, which included the provision of more than 800 television channels, on demand content, and radio stations. The packages offered by the unlicensed provider cost between 40 and 460 euros per month. The investigation revealed various social network accounts through which the service attracted more customers, plus a network of 20 additional websites offering the same product. “The strategy used by those investigated was to use a multitude of servers and change them periodically, gradually creating new web pages to form a framework that, in principle, had no relationship. In this way they aimed not to be detected by the National Police and continue profiting from the crime,” a statement from the National Police reads. Officers in Spain determined that the business was being operated through Spanish companies but subscription payments from customers in more than 30 countries were made to a company in Gibraltar. Investigations led the police to conclude they were dealing with a “specialized international criminal organization” with connections to Spain, Denmark, the UK, Latvia, Netherlands, and Cyprus. “After a detailed investigation, the police discovered a link between the holding companies and the beneficiary bank accounts of the subscriptions, always belonging to the members of the organization,” Spanish police note. During the operation, police say they “disconnected” 66 servers involved in the crime while further identifying the locations of other servers that were part of the network. Police says they identified 11 server ‘farms’, with some comprising more than 44 servers. Current police estimates suggest that the people behind the operation “obtained an economic benefit” of around 8 million euros with 1.6 million euros diverted to companies abroad since 2013. It’s alleged that the money was laundered through businesses that appeared respectable. “To give the illicit business the appearance of legality and to launder the profits, they created companies with lawful activity and a stated objective related to the provision of telecommunications services, internet and hardware,” Spanish police explain. The operators, therefore, allegedly mixed legal revenue with illegal, in order to raise as little suspicion as possible. However, that didn’t stop the police from noticing their luxury lifestyles. “Those arrested resided in luxury urbanizations on the Malaga coast, using high-end vehicles that were continually being renewed. In fact, the operation involved 12 high-end vehicles, in addition to bank accounts and real estate,” Spain’s National Police conclude.